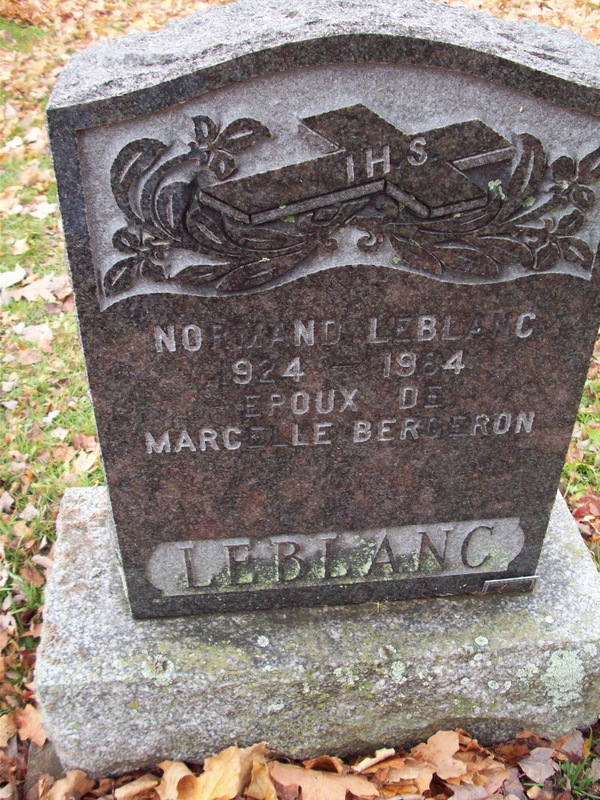 PARR/MARR: WILLIAM BERGERON (ONCLE) ET ALMA RICHARD. PARR/MARR: PIERRE BERGERON & MARGUERITE ALLARD. PARR/MARR: GABRIEL COURCHESNE & ANGELE LEMIRE. PARR/MARR: J-B. LACERTE & THERESE DESFOSSÉS. PARR/MARR: JOSEPH BERGERON & MARIE MANSEAU. Parr/Marr: FRANCOIS MANSEAU & MARGUERITE COTE. PARR/MARR: LOUIS BERGERON & MARIE BERGERON. PARR/MARR: FRANCOIS JANELLE & MARIE DESCOTEAUX. AU REC DE 1901 ELLE HABITAIT CHEZ SON FRÈRE ALFRED. PARR/MARR: ONESIME JUTRAS & DINA BERGERON. PARR/MARR: PIERRE BERGERON & JOSEPHTE MANSEAU. PARR/MARR: ANTOINE LAFOND & MARIE-JOSEPHTE VILLEBRUN. PARR/MARR: J-B. BENOIT & M-ANTOINE LAFOND. 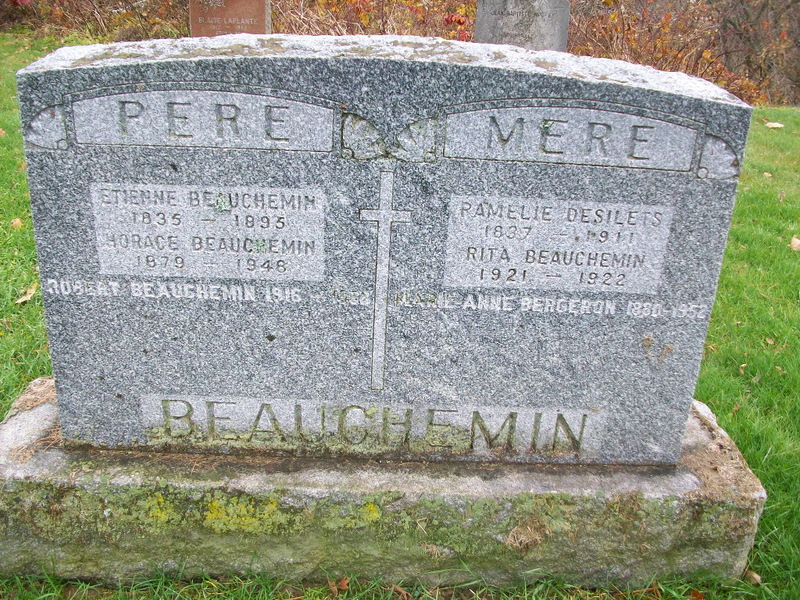 PARR/MARR: NAPOLEON BERGERON & JOSEPHINE BELISLE. PARR/MARR: PIERRE PROULX & SCHOLASTIQUE DUMAS. PARR/MARR: CHARLES GAUTHIER & MARIE COMIRÉE (CAMIRÉ). PARR/MARR: ALEXIS CAMIRÉ & ROSALIE PROULX. PARR/MARR: LOUIS ALIE & EMILIE ALLARD. PARR/MARR: DOMINIQUE JOUTRAS & THERESE BERGERON. PARR/MARR: FRANCOIS BELLECOURT & THERESE MANSEAU. ct. notaire Plante le 26-07-1774. PARR/MARR: JEAN-BAPTISTE DESCOTEAUX & ADELE BERGERON. PARR/MARR: ANTOINE COTE & JOSEPHTE MANSEAU. PARR/MARR: JOSEPH MANSEAU & JOSEPHTE COTE. PARR/MARR: JOSEPH LAFOND & MARIE-JOSEPHTE COTE. PARR/MARR: PIERRE BERGERON & FRANCOISE BERGERON. PAR. & MAR; JOSEPH JOUTRAS & JOSEPHTE CÔTÉ. PARR/MARR: JOSEPH DUGUAY & ADELAIDE LOZEAU. CT. NOTAIRE LANEUVILLE LE 1-5-1729.